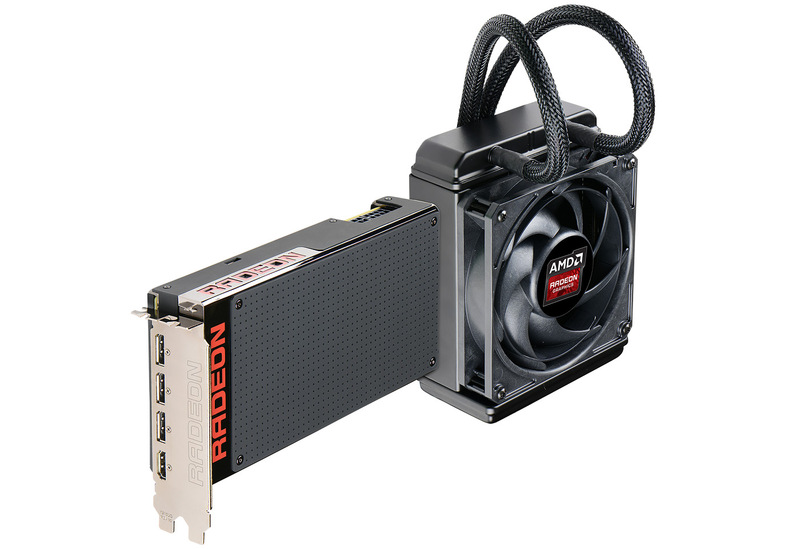 The latest high-end GPU from AMD, namely the Radeon R9 Fury X, that has been just recently announced has managed to provide performance high enough to be equal to the competition in the form of the Nvidia GeForce GTX 980 Ti… at least hen we are talking about using video cards based on these GPUs for gaming. 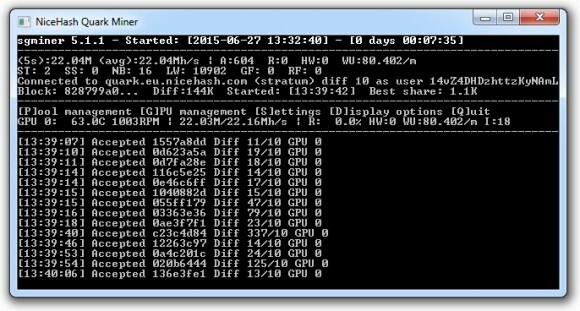 We already did some benchmarks to see how fast the GeForce GTX 980 Ti is for mining, so it is time to see if the Fury X will be able to compete with these results like it does for gaming. An interesting advantage that the Fiji GPUs used in the Fury X video cards is that they come with HBM memory and both the video memory and the GPU are water cooled. In theory this means that you get lower temperatures and silent operation and the Fury X does manage to provide that. One more thing that you would normally expect from a water cooled GPU is to have a lot of potential for overclock, but unfortunately this does not hold true for the Fury X or at least not with the first card out on the market at least. We barely managed to squeeze out just about 75 MHz extra from the GPU and there is no option to overclock the video memory for the moment. As you can see the results are a bit disappointing at this point, everything apart from the Quark and Qubit performance using the modified 280X kernels where the performance is really good and similar to that achieved on the GTX 980 Ti. Other modified/optimized kernels such as the ones for the X algorithms from Wolf0 or the Pallas mod for Lyra2Re do increase the performance a bit, but it it still disappointingly low. In fact on some algorithms you can expect to get worse results with Fury X than with a 280X for example, so we need to find better settings and maybe get optimized kernels especially for Fury X in order for that card to be viable for crypto currency mining. The only thing it is good for at the moment is for mining coins using the Quark and Qubit algorithm with the modified kernels, but then again buying a GTX 980 Ti instead could be the wiser choice for generally better mining performance for any algorithm supported… at least for the moment.